Please download a copy of the form below and send into the office, alternatively call in and collect a paper copy! 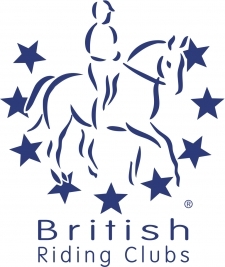 British Riding Clubs (BRC) exists to provide support and encouragement to amateur riders of all levels – from the dedicated competitor to the happy hacker. We offer a range of events, training and qualifications through over 500 clubs and centres right across the UK. Our clubs and centres give BRC members the chance to ride, compete and train together at national competitions, training and social events. Fitzworthy Riding Club is a brand new Centre and we are looking forwards to a great year ahead. We require members to join our centre, please find the membership download at the bottom of the page. Membership runs from January to January so we are looking for people to become members ready for 2017, so if your new year resolution is to join a club and try soemthing new, or train in a discipline your love then joining FRC is for you. On the right hand side of this page you will find information on our 2017 monthly events. All BRC members will recieve discounts on many events and clinics throughout the year as well as having priority when booking on a first come first serve basis, making the £12 annual fee very worth paying. For more information on British Riding Clubs and what it can mean for you please follow the link. With so much happening at Fitzworthy, why not sign up to our newsletter service. We do not share your details and you may unsubscribe at any time.